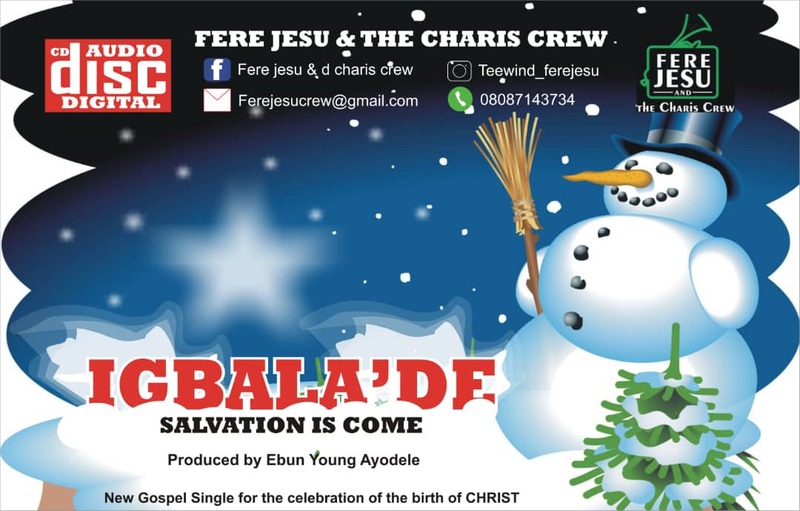 Some sounds will forever remain evergreen and time has nothing on them such is Igbala De, a newly released single by Fere Jesu & The Charis Crew. The band has over time, built a reputation for inspiring and uplifting souls through their heart felt songs. “Igbala De”, simply translated into English language as “Salvation Has Come”, is a powerful song that reveals the essence of the birth of Jesus Christ and assures believers of their heritage in Christ. “Igbala De” remains just as inspiring as other songs previously released by the band.